The two plays which make up this volume are of different quality. While no one would claim that The Atheist's Tragedy is a masterpiece, it is an important play because in it the exhortation 'Vengeance is mine, saith the Lord' is acted upon with unusual consistency, and because stringent `puritan' moral attitudes are dramatised in the context of traditional revenge themes. The Revenger's Tragedy, on the other hand, is a masterpiece; a satirical tragedy with farce structure and poetic vision focused upon the vice and corruption of the imagined Italy of the Jacobean period. Its bleak view of humanity links the play with the strongly satirical theatre of the early seventeenth century, showing the dramatist's affinity with Jonson and Marston. Although The Atheist's Tragedy and The Revenger's Tragedy are commonly linked in readers' minds, there has 'been much disagreement since the end of the nineteenth century about the authorship of The Revenger's Tragedy. 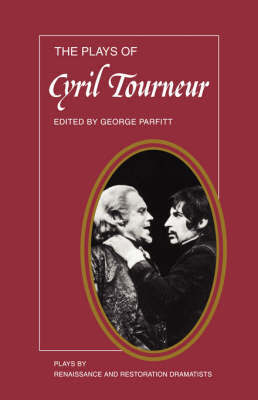 The issue is fully aired in the Introduction to the volume, the editor's view being that the play is best regarded as anonymous; however, the two plays, are printed together here to enable readers to compare them as discussions of the morality of revenge.